Techkno Support Page, offering downloads for the computer user to diagnose their hardware and software and fix various software issues. Techkno Wiki, supplying valuable fixes by download or instruction! We are proud of the database of guides we’ve built so far, it is ever growing! Techkno Forum, whether you have a business inquiry or want to report a fatal bug on the website, the forum has a place for every inquiry! If you believe we should add an avenue of support not currently available, please suggest it on the forum or by email via our contact form on the About Us page. Greetings to all the tech enthusiasts out there! Welcome to my first of many tech tutorials hopefully. 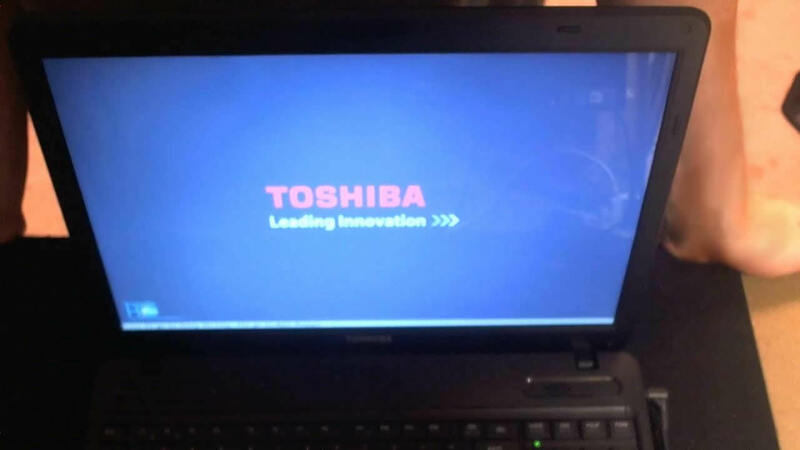 Today, I’m going to go through the steps to replace a laptop screen, specifically a Toshiba Satellite C655-S5212 screen. There’s a few topics I would like to cover before actually starting the tutorial. First of all, I’d like to say that after replacing my first screen about 5 years ago, I’ve become very experienced in figuring out how each screen comes out on each individual laptop. 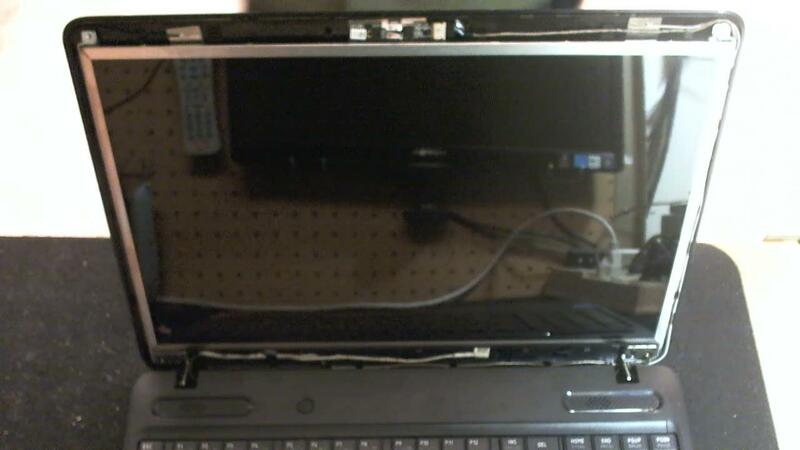 Screen replacement has become common for me due to the volume of laptops out in people’s hands that need fixed. For example, many get stepped on, tables dropped on them and coffee spilled on them on a semi-regular basis. My next point I would like to bring up is information about where to purchase the screen. I’ve always been one to buy the screen from Amazon or more recently eBay. The problem with this is there aren’t any consistent sellers to buy any kind of screen for any kind of laptop. 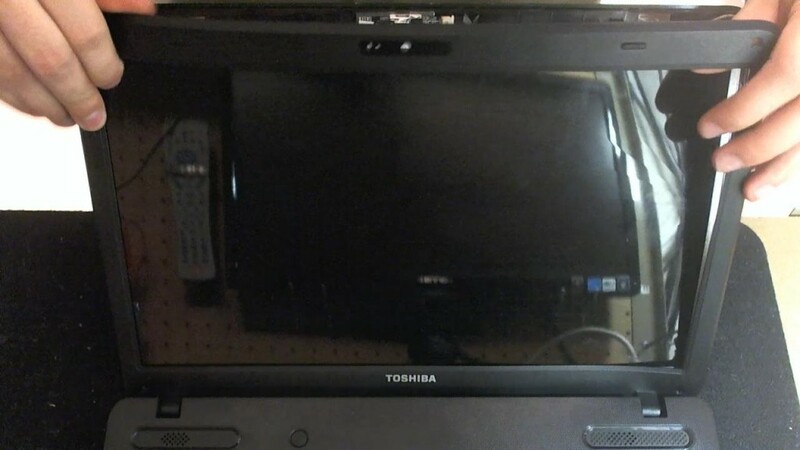 You have to find a seller selling that specific screen. 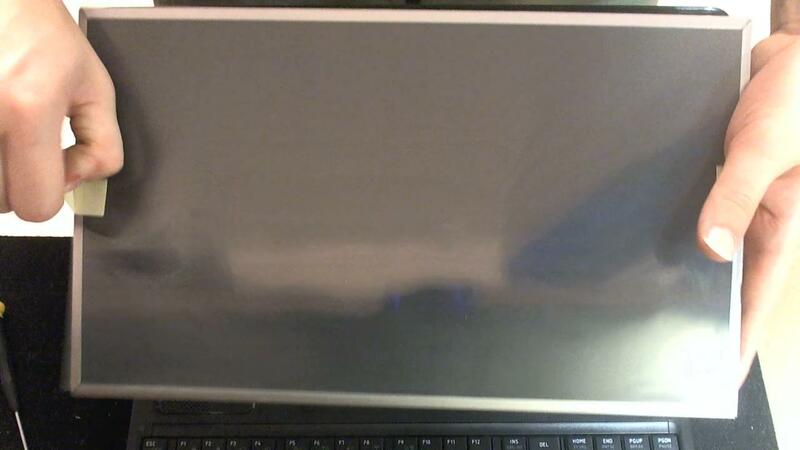 This is after the research of seeing which connector it has on the back, if it’s glossy or matte, and what resolution the screen has on an external site. 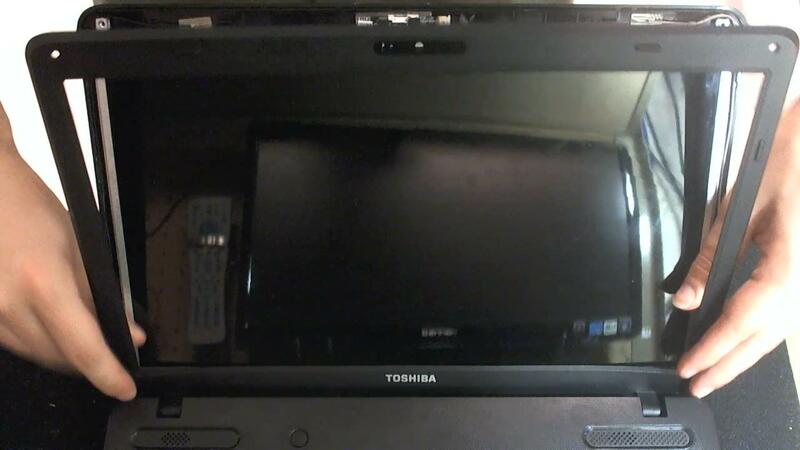 Then verifying that the eBay seller can confirm all the specs on the screen is another matter. Their ads don’t always list all the vital information. Sometimes you have to go out of your way to send them a message to verify or get unlisted details. 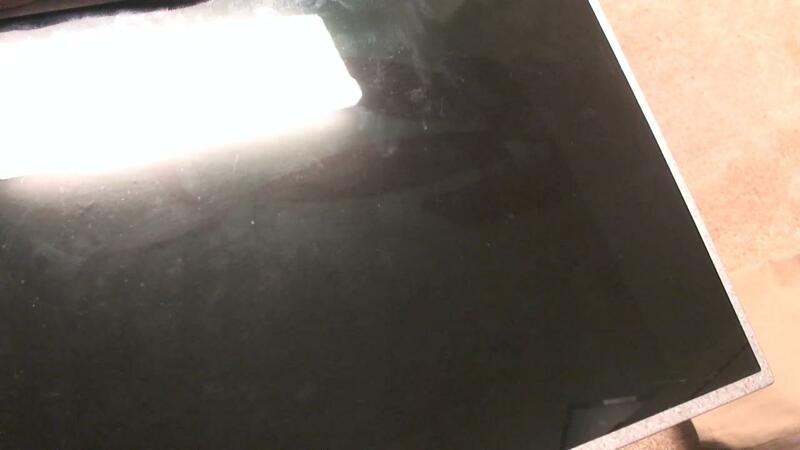 This is why I went searching for a reliable, consistent and trustworthy company to purchase screens from. I finally ran into Laptopscreen.com and gave them a try. It was a great experience to find the details about the screen to verify connectivity, resolution and screen surface (matte or glossy). Once I placed the order for the screen, it took about a week to get here, and I had the screen in my hand. It came in a thin cardboard box and inside it was a thick vanilla envelope. 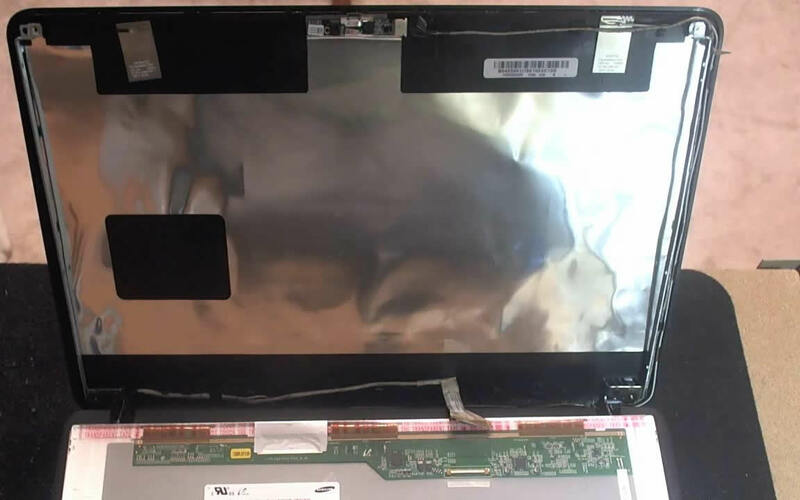 Please consider Laptopscreen.com for your next laptop screen replacement! With the mandatory rant over, onto the tutorial! 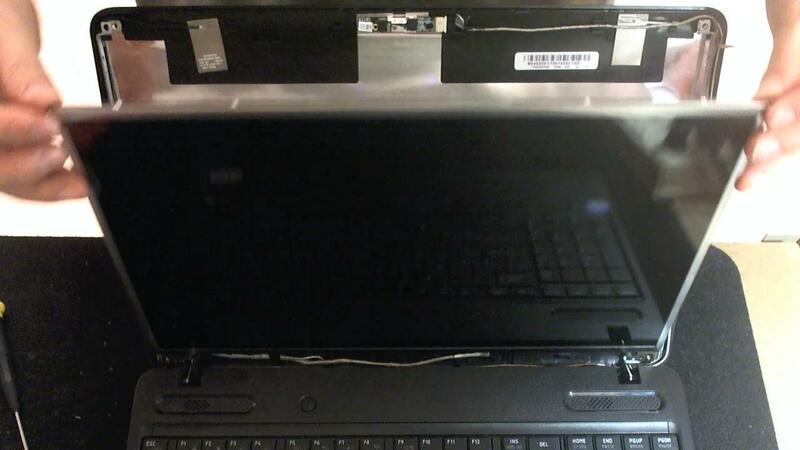 NOTE: Please unplug the power cord and pull the battery before doing anything to the internals of the laptop. Take a good look at the image above. Can you see the outlined area on the right side of the screen? That’s the damaged area, basically crushed. This is what we’re after to fix, so let’s get to it! 1. So, the first step is the remove the rubber covers on top of the screws. There are four, each in the corners around the outside of the screen on the plastic. Remove with long finger nail or flathead screwdriver as shown above. 2. 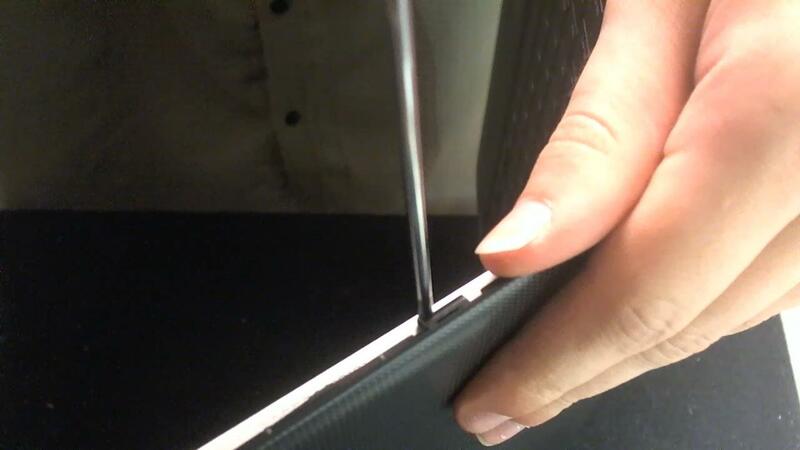 Remove the screws with Phillips screwdriver. NOTE: Store all screws and covers in a container separated and grouped together by kind and size if possible! 3. 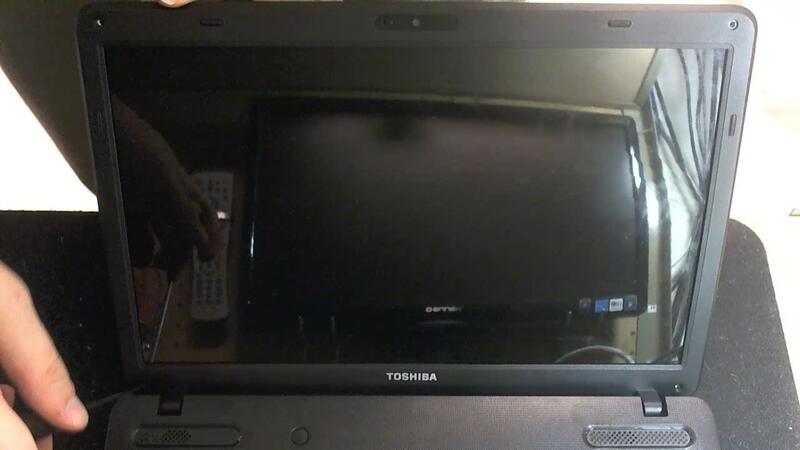 Proceed to seperate screen bezel with Flathead screwdriver or some sort of thin blade. 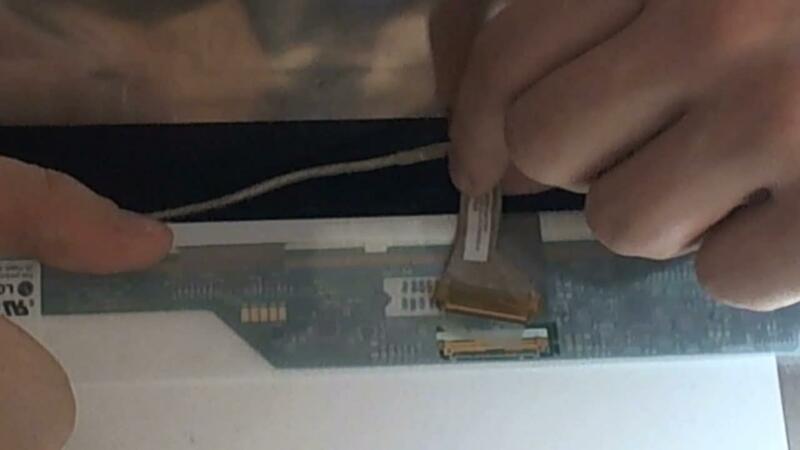 Keep prying the plastic apart, it is normal to hear ‘clicks’ as you are pulling it apart all the way around. 4. Continue to plastic bezel apart all the way around the screen. The bottom can get a little tricky due to space issues. 5. 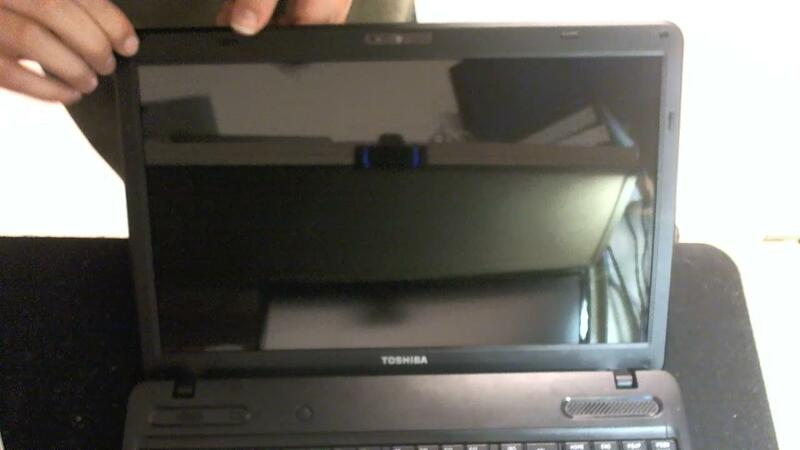 When you have the screen bezel loose all the way around, you may notice it being stuck at the bottom where it hooks in right above the keyboard. There are two hooks on each side covering the mechanics connecting the screen to the base. To lift the two hooks out of the holes, use a Flathead to gently pry them upwards and opposite of the screen. 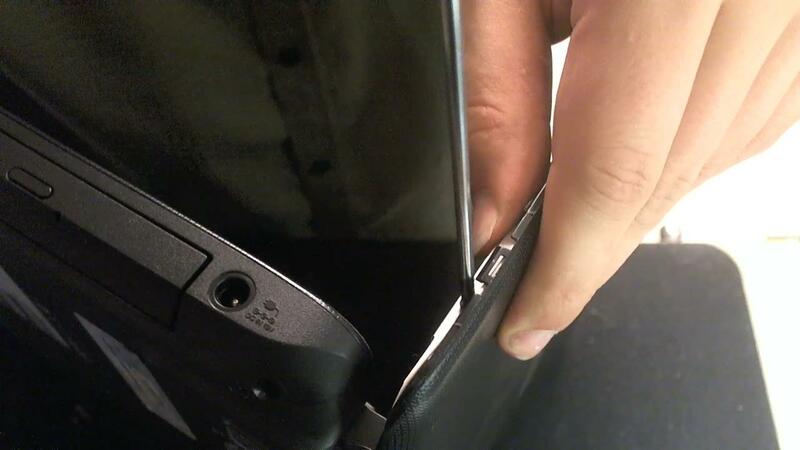 They will pop out of the sockets and the entire screen bezel should be free. 6. 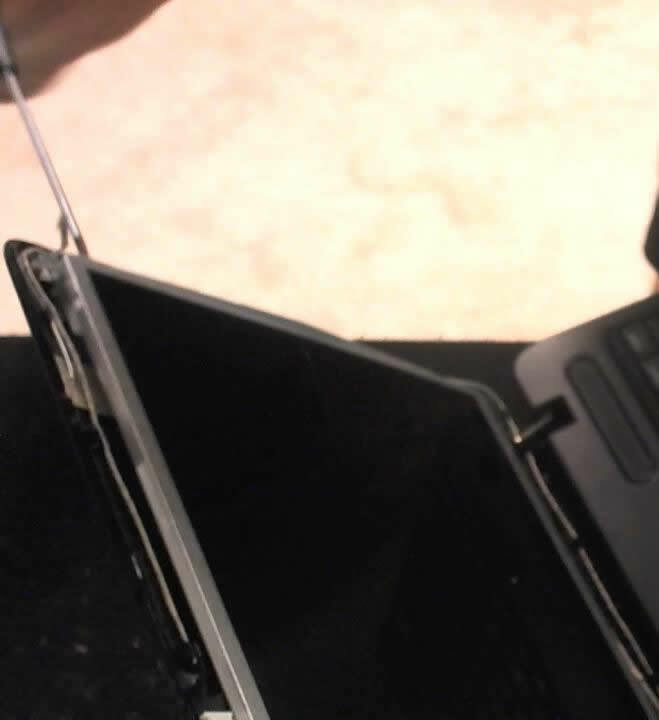 Now that the screen is exposed, you can take out the screws that hold the screen to the frame. They’re on the left and right sides of the screen. 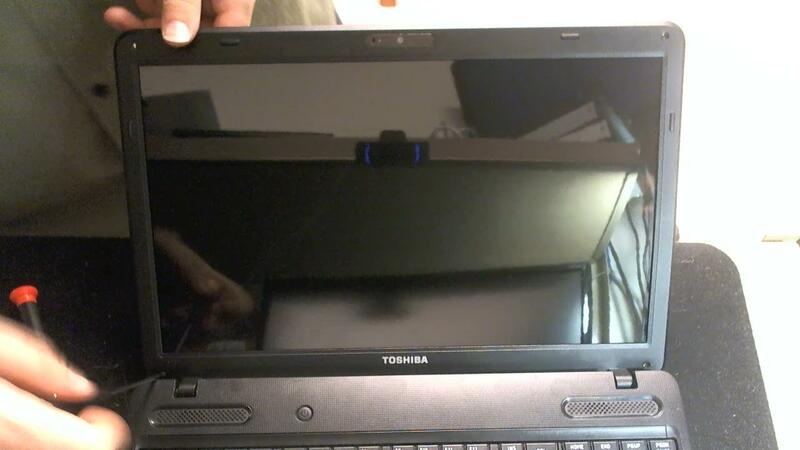 I have the laptop sitting on its side to show where the screws are placed. In my case there were three screws on each side, totaling six. 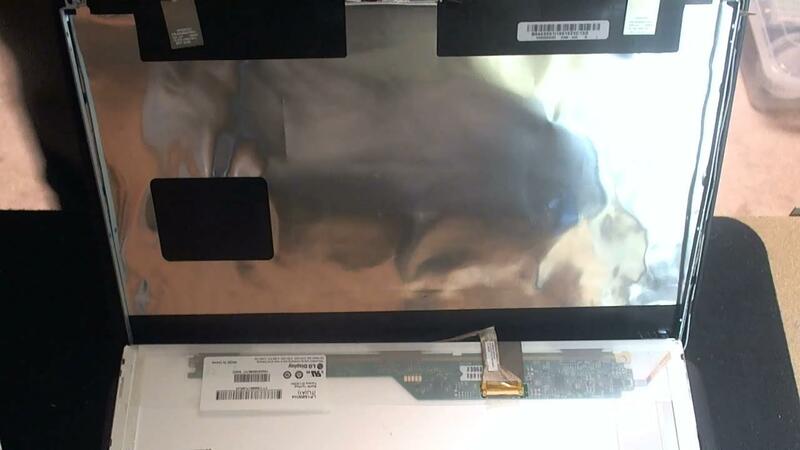 Just a clearer picture of the screws holding the screen. 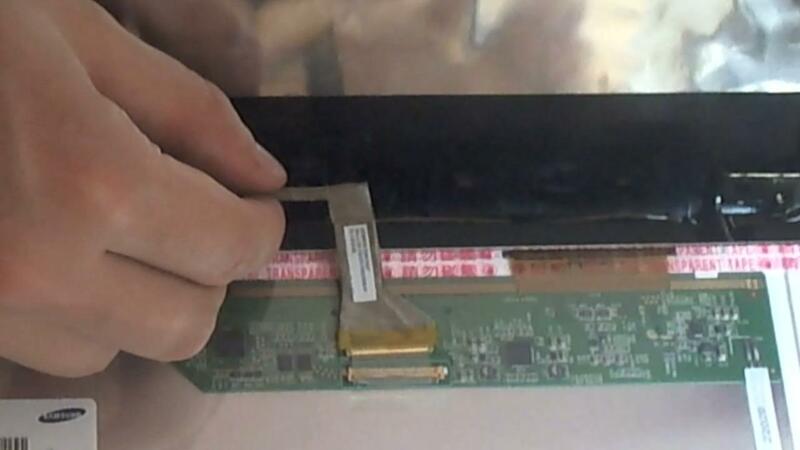 As you continue to take the screws out, be very careful as the screen will start to pull out of the frame. Usually, the frame is made from very thin metal and can bend easily! 7. When all screws are taken out from each side. The screen should be ready to come out! 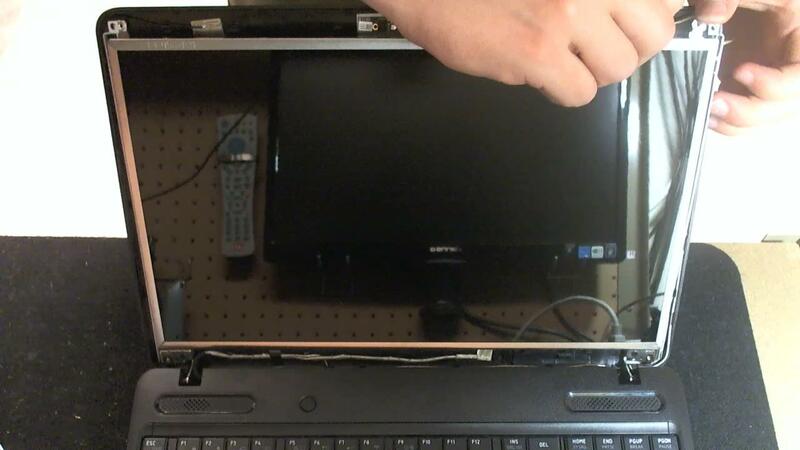 Take the screen and lay it down onto the keyboard area. Be careful as there is one cable attached to it! 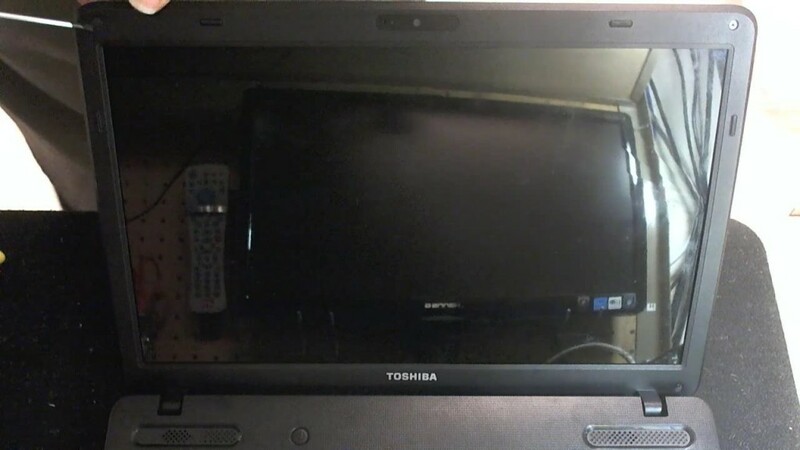 The screen should be laying down in this position with the connector facing up at you. 8. Now we’re ready to disconnect this baby! 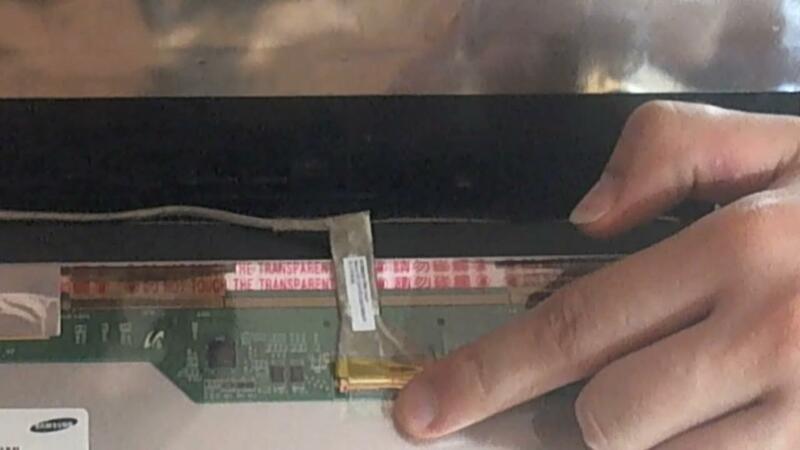 Usually the connector is taped in two places, above it with a clear piece of tape and the actual cable itself is glued to the screen. Gently lift up on the clear tape above the connector. 9. 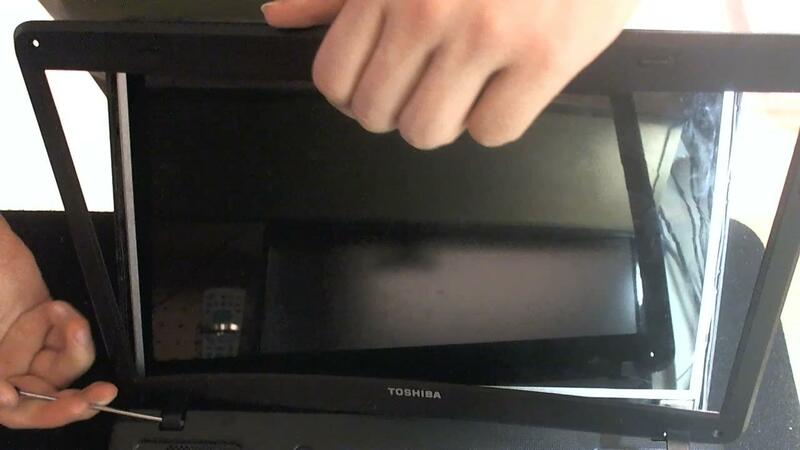 Now gently peel the data cable off the screen so it’s loose and ready to disconnect the cable! 10. The connector is simple to disconnect just pull it the opposite direction of the clear tape, keep it flat! 11. Here is the new beauty! Ready for it’s new home. 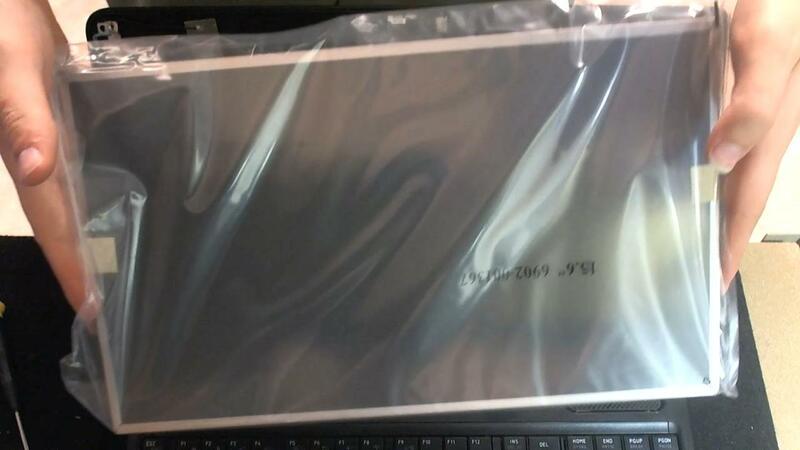 Here’s the screen in a plastic layer from shipping. It was in a Cardboard box, then a vanilla envelope and then this plastic bag. 12. After it was removed from the plastic bag, it had this plastic sheet over it to protect it. 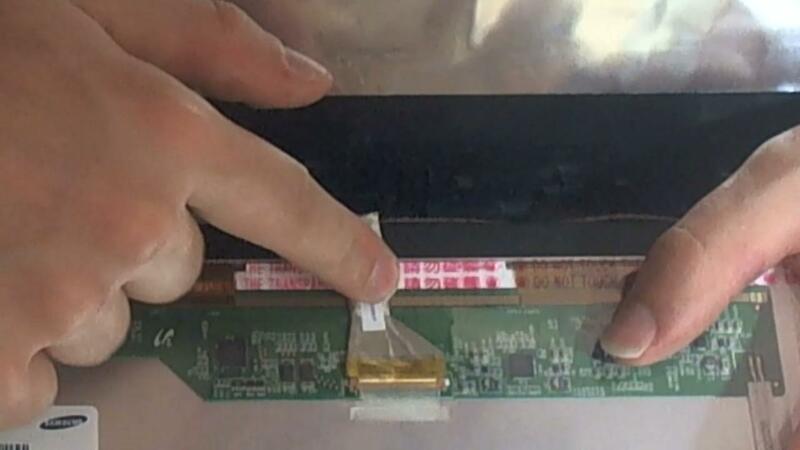 Remove the masking tape from each side and remove the film. 13. After the screen is fully bare with no coverings, lay it down on top of keyboard area with the actual screen area facing down as before. 14. This screen won’t do us any good just sitting there, will it? Let’s connect that bad boy! Take the connector cable, keep it flat and lined up with the connector port. 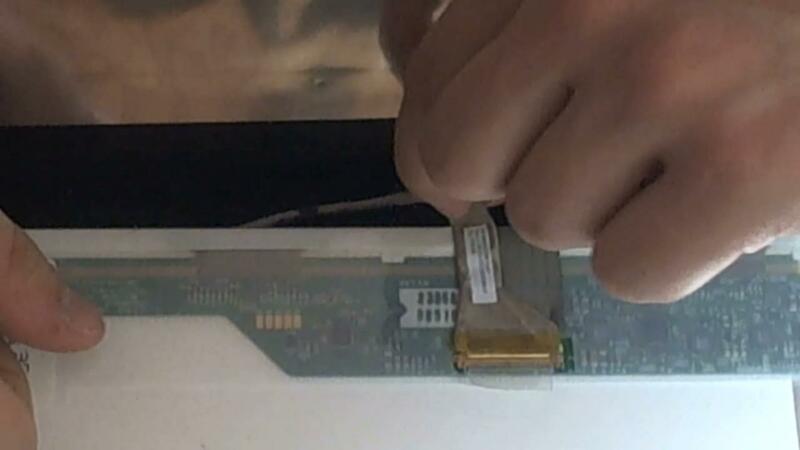 Then slide it into the port confirming it slides in with a tight fit with no gap between the cable and port. 15. 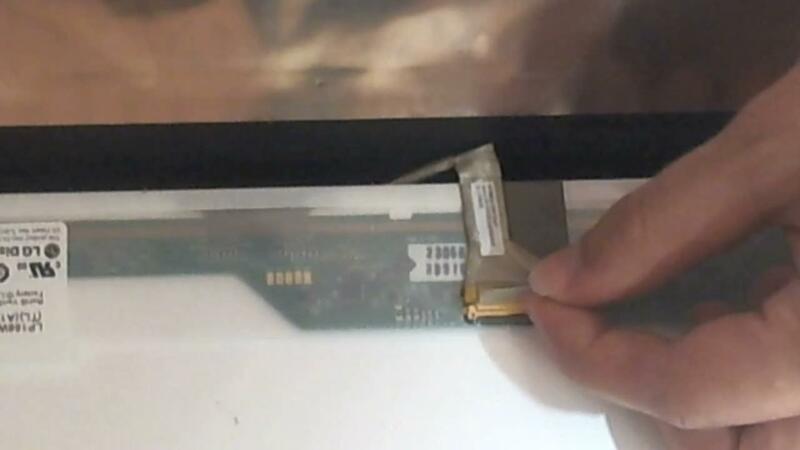 Once the connector cable is in tight, firmly push the cable onto the back of the screen so it re-sticks onto it. 16. Do the same with the clear plastic tape above the connector port. 17. 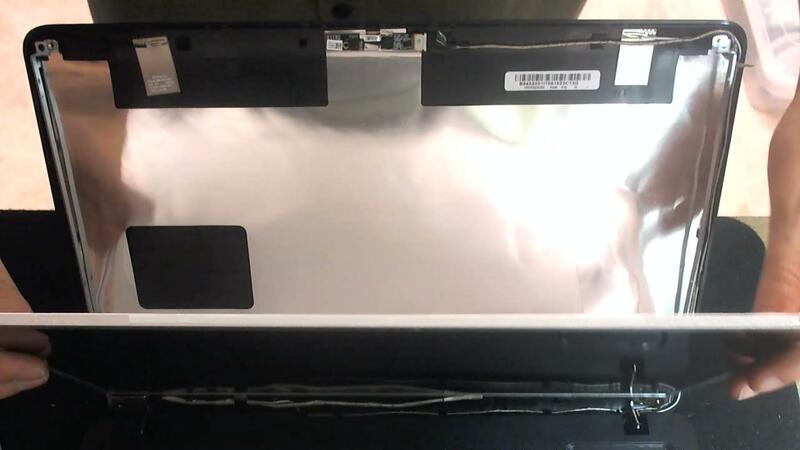 Now that the screen has connection, you can go ahead and lift the screen up from the front and gently bring it up laying on the screen plastic frame behind it. 18. 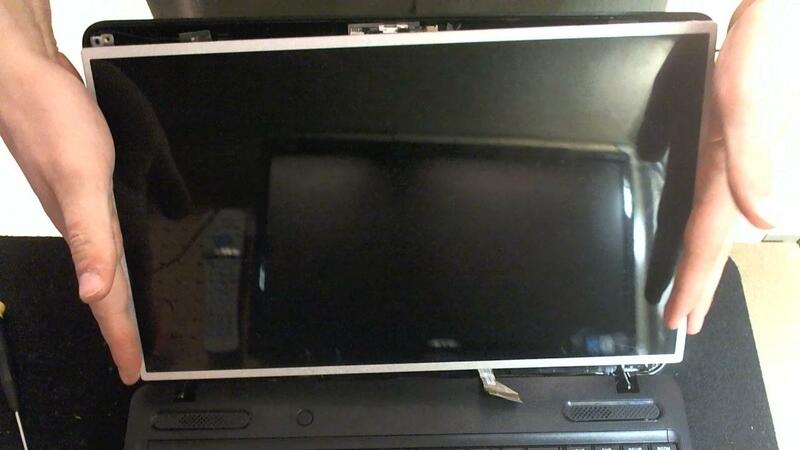 Make sure to fit the side frame pieces around the left and right sides of the screen the frame screw holes line up. It should look something like this, side frame pieces sitting flush with the screen. Everything’s coming together, right? 19. Go ahead and start putting screws into the sides of the screen frame. I would alternate sides and top and bottom. So put a screw in the top left, then bottom right and so on. A more detailed picture. 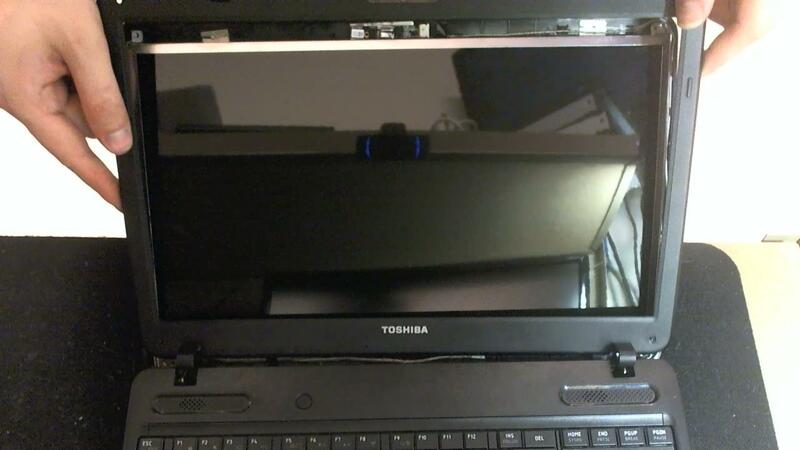 I have the laptop on its side again! This was the last screw though. 20. After putting in all the frame side screws, we should be laying in pretty good shape with a scene similar to this. Although the picture may not be clear, it’s clear that we are almost done with this sucker! 21. Now that we have all the inner frame secured, it’s now time to put the plastic bezel over the whole mess! 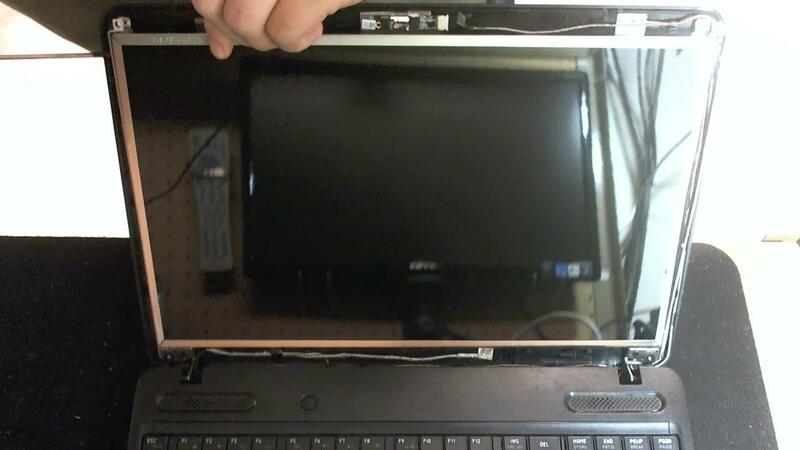 NOTE: Make all cables around the whole screen aren’t in the way of the plastic bezel or where it secures down! 22. Again, we’re going to have to deal with the two hooks that hook over the mechanics of on the base. The best way I found to secure them was to take them ‘up and over’ the base. In other words, kind of guide it into the hole with a flathead and let it fall into place. 23. Again, making sure there are no cables in the way, snap the frame on going all the way around the frame with a firm push until it ‘clicks’. 24. I hope you’ve been keeping track of screws! Take the very first screws you took out in the beginning and screw them back in each of the four corners. 25. If you still have the rubber coverings, take those and place them over the screw holes and press firmly for roughly 10 seconds. 26. You may now plug in and/or put the battery in your laptop now! 27. Are you ready? 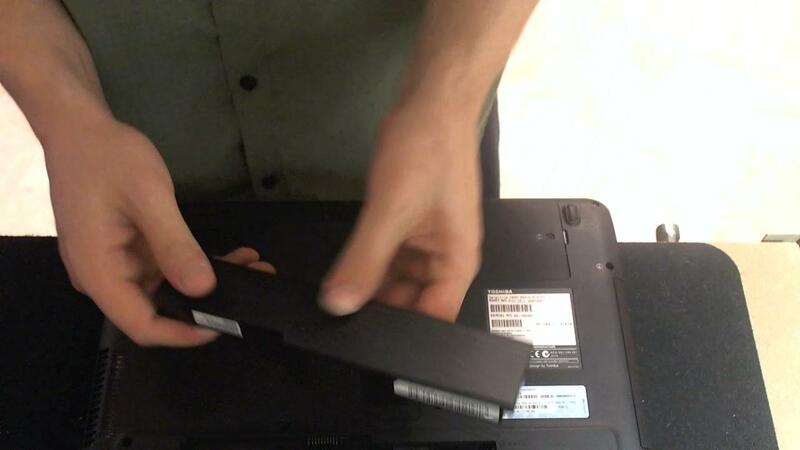 Prepare to be amazed that your laptop might turn on in working order! Just kidding :). Go ahead and turn the laptop on and see what happens! You should see something similar to above! 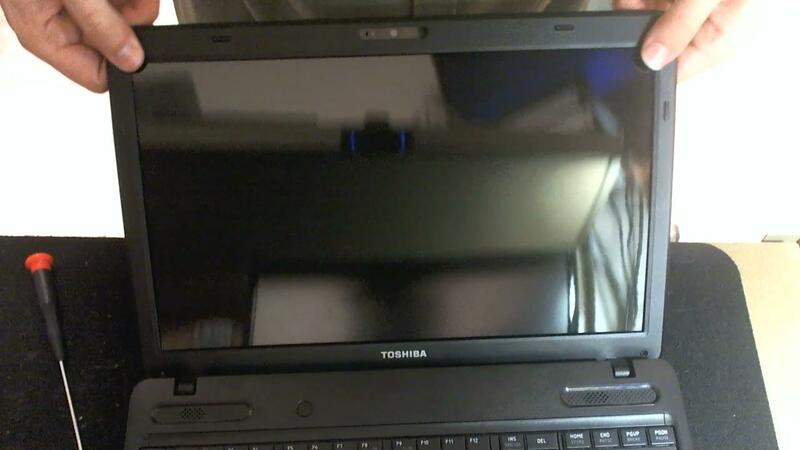 A working laptop, Yay! Hopefully I’ll be doing more of these kinds of tutorials in the future! Thanks for reading and I’ll see you later! My name is Austin and I welcome you to Techkno.net! We are a tech based site that offers useful information for diagnosing and fixing computer and network related problems. I encourage you to visit the Wiki and Forum for more useful information and topics.